Our Battle of South Mountain Collection has been acquired through the generosity of several donors to the museum, including Dan and Linda Fout, Dan Guyton, Griffith and Mary Garwood, Don Hongell, Jody Brumage, and others. The Battle of South Mountain was fought between the United States and Confederate Armies on the ridge of South Mountain on Sunday, September 14, 1862. The Army of Northern Virginia occupied Burkittsville on September 7, 1862 but quickly moved over the mountain to carry out General Robert E. Lee's plan to split the army and surround Harpers Ferry. A small guarding force of approximately 2,100 Confederate soldiers under the command of Brigadier General Howell Cobb was left to protect access through Crampton's Gap one mile northwest of the town. ​After a copy of General Lee's orders were discovered by the United States Army outside of Frederick, Maryland on September 13, 1862, General George B. McClellan deployed the Army of the Potomac to pursue the Confederate Army and prevent them from rejoining their divided ranks. The first major engagement of the Maryland Campaign of 1862 occurred on the following day, September 14, as the United States Army advanced through the gaps of South Mountain. 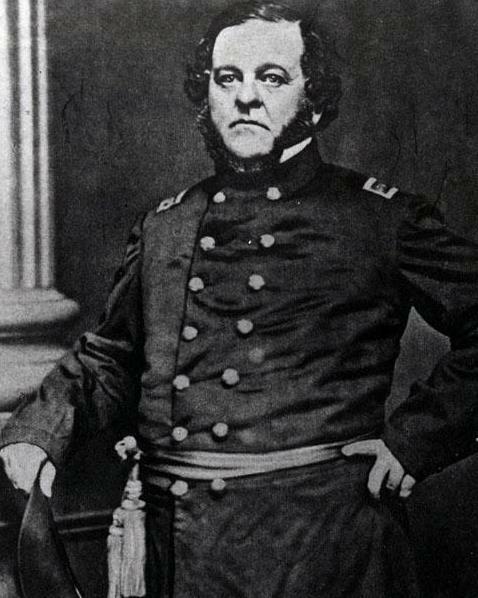 Major General William B. Franklin commanded the sixth corps of the Army of the Potomac which crossed Catoctin Mountain at Mountville Pass, advanced through Jefferson, Petersville, and reached Burkittsville by the afternoon of September 14. The armies engaged in a close and violent battle along the steep eastern face of South Mountain throughout the afternoon and early evening, with the United States forces eventually taking control of the gap by nightfall. At the end of the battle, both armies had lost a total of 245 men. Over 1,100 soldiers were wounded, most of whom were carried down from the mountain into Burkittsville where over a dozen field hospitals were established. Over the next four and a half months, the army and the citizens of Burkittsville cared for these soldiers in the hospitals, providing food and other necessities and providing temporary interment of deceased soldiers in the town cemetery. 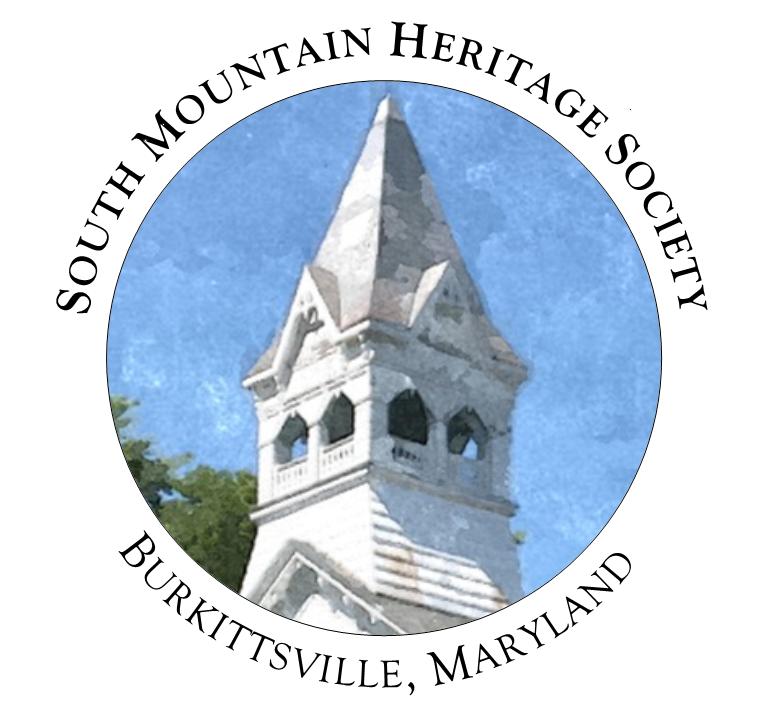 South Mountain Heritage Society's Battle of South Mountain Collection includes artifacts recovered from the battlefield, documents, engravings, and photographs. The digital collection offers access to letters written by soldiers who fought in the battle and who were stationed in Burkittsville over the winter of 1862-63 to assist in the field hospitals. These letters narrate the difficult months faced by the soldiers and civilians alike in the immediate aftermath of the battle. The collection also includes scans of the war claims cases filed for both the Reformed and Lutheran churches in Burkittsville, both of which were used as field hospitals. These case dockets contain eyewitness testimony from Burkittsville citizens and offer detailed insight into the scene of the hospitals and how town residents reacted to the devastation of war. Lastly, there are copies of newspaper clippings describing the events of the battle and also depicting scenes through intricate engraved images. Description: Hill recounts the harrowing approach to South Mountain as bullets and artillery ordinance from the Confederate positions rained down over U.S. soldiers. 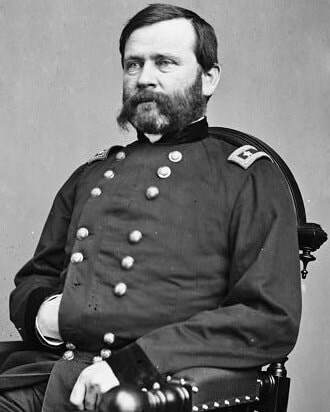 Hill was later wounded and discharged with a disability on December 29, 1862. Hill’s letter is unique for its timeliness. Written from an encampment in Pleasant Valley, Hill not only discusses his experience in the Battle of South Mountain but also recalls the thunder of artillery and gunfire from the Battle of Antietam on September 17, which he misidentifies as being the siege of Harpers Ferry, not knowing that the Confederates had captured the town two days earlier. Click here to read a transcription of the letter. Click on the image above to view the letter. Description: John and Allen Lovejoy's regiment was held in reserve during the Battle of South Mountain and they were stationed in Burkittsville to assist in the field hospitals. They remained in the town for at least three months. ​The first of three letters from John Lovejoy, this document contains a description of the town of Burkittsville as well as its citizens and how they interacted with the soldiers during and after the battle. Click on the image above the view the letter. Description: John and Allen Lovejoy's regiment was held in reserve during the Battle of South Mountain and they were stationed in Burkittsville to assist in the field hospitals. They remained in the town for at least three months. ​John’s second letter is written almost a month after his first one, and describes his continued duties as a hospital attendant but also his own bout with illness and being placed under hospital care. 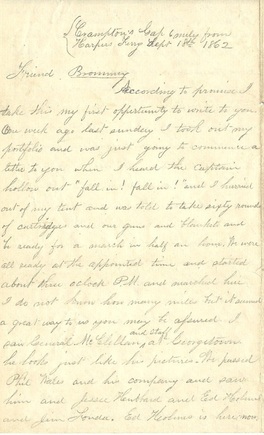 Allen's letter, written on the back half of John's, is more personal in tone, speaking with patriotic fervor about the war and voicing concern for his loved ones at home. Click here to read a transcription of the letters. Description:​ John and Allen Lovejoy's regiment was held in reserve during the Battle of South Mountain and they were stationed in Burkittsville to assist in the field hospitals. They remained in the town for at least three months. John’s final letter reflects the slower pace that had returned to Burkittsville almost two months after the battle occurred. There were still wounded soldiers in the village. John ends this letter with the prediction that if General George B. McClellan was unable to defeat Lee’s army in the fall of 1862, the war would certainly last several more years. Allen’s second letter is again written on the fourth sheet of John’s letter, and like his first, is rather concise. In his usual patriotic tone, Allen hopes that McClellan will “crush the Viper” this winter while he has the chance. Allen also comments on the fate of soldiers being the “neglect of the laws of nature” more than disease or battle wounds. Description:​ Written days after the Battle of Gettysburg, Edward Sarris' letter comments on the war's impact on Maryland. He recounts the Battle of South Mountain which had taken place in the previous year and notes the death of U.S. General Jesse Reno at Fox's Gap. The letter also includes his commentary on the "southern style" of Frederick. The letter is written on a piece of stationary featuring an engraving of Harpers Ferry. In the summer of 1907, Resurrection Reformed Church and St. Paul’s Evangelical Lutheran Church each filed suits against the Federal Government for repayment on rent and damages that occurred to the buildings during their use as field hospitals following the Battle of South Mountain. The cases were both heard before a court of claims which required testimony from Burkittsville citizens who had witnessed the hospital activity in the churches 45 years earlier. The testimonies were gathered by F.G. Colderm, a notary public. The testimony of Greenberry Jacob Ridgely House, Henrietta Biser, Henry M. Wiener, and Peter M. Horine from Resurrection Church and Peter M. Horine, Clara M. Pfeifer, David Whipp, and Robert Simmes of St. Paul’s Church, provide a unique first-hand account of the months in Burkittsville following the Battle of South Mountain. The testimonies given by these 7 individuals ranges from very detailed descriptions of the buildings before the war to emotional memories of the gory scenes witnessed in the churches. While Resurrection Reformed Church had requested payment of $1,200.00 for damages and unpaid rent, their claim was dismissed after a receipt from the Quartermaster’s Department revealed that payment had been made to the church in 1863. St. Paul’s Evangelical Lutheran Church requested $1,000 for the same expenses mentioned above, and received full payment. ​Click on the image above to view the Reformed Church War Claims Case. Click on the image above to view the Lutheran Church War Claims Case. The Battle of South Mountain raised Burkittsville's name into national headlines in the fall of 1862, and many of these publications included engraved depictions of the battle along with their stories. Description: The headline story of this issue of the New York Daily Tribune was "The Invasion of Maryland" and printed reports of the Confederate Army of Northern Virginia's movements into Maryland just two days before the Battle of South Mountain. Click on the image above to view the newspaper. Description: Published a day before the Battle of Antietam, the headlines from this issue of the New York Times relay the movements of the armies through Maryland and report on the U.S. victory at the Battle of South Mountain (referred to invariably as the "Battle of Hagerstown Heights"). Description: One of the many popular illustrated newspapers/magazines of the 19th century, Frank Leslie's Illustrated Newspaper featured the Maryland Campaign in an article accompanied by two engravings of the Battle of South Mountain (referred to as the "Battle of Blue Ridge Pass") and a map of the towns/villages impacted by the campaign. Description: This issue of the popular Harpers Weekly illustrated newspaper reported on the Maryland Campaign and also shared views from military leaders, including U.S. Major General George B. McClellan, on the recently-announced Emancipation Proclamation. There are seven engravings depicting the Battle of South Mountain, including one of the most well-known illustrations of the fighting in Crampton's Gap near Burkittsville.